Natural fiber optics and cool temps help Buffalo stand out. The technology industry is enjoying a period of innovation and growth worldwide, with major city centers such as Buffalo, New York, popping up across the country that challenge Silicon Valley for the tech leader title. As early as 2015, the Buffalo-Cheektowaga-Niagara Falls metropolitan area emerged as a dynamic hub for the tech companies, in part thanks to the city’s cool climate, strong economy and cross-cultural ties. Tech industry giants such as IBM and KeepUp are among the more than 700 companies that helped put technology among Buffalo’s top three industries, alongside financial services and education. A mid-size city of over 1 million, Buffalo has an advantage over the competition even at a national level, boasting extensive fiber optic networks throughout the metro area, one of the most-wired in the U.S. This equates fast Internet and exceptionally reliable connections, a favorable trait for tech companies of all sizes, especially those that conduct business at an international level. It takes more than fiber optics to transform a city into a tech industry giant, however. Buffalo is an ideal location for corporate expansions and emerging startups alike, for a variety of reasons. Climate: Buffalo enjoys four distinct seasons, with average summer high temperatures of a balmy 80 degrees. Mild climates help keep power structures and extensive electrical systems cool, saving energy while simultaneously cutting operating costs. Lifestyle: A short 2-hour drive from the border of Ontario, Buffalo is an attractive mix of classic and modern. In the city’s bustling downtown, Frank Lloyd Wright-designed buildings, along with historic churches and mansions, are nestled alongside modern high rises. In part due to the rapid growth of the tech industry, the city is hip and youthful. Buffalo offers ample recreational opportunities, a lively nightlife scene and a rich, interesting history spanning over 200 years. The city’s median resident age is 33, a good five years younger than the state average. Cost of Living: The average base salary in Buffalo is $55,570. Salaries are typically higher within the technology industry. 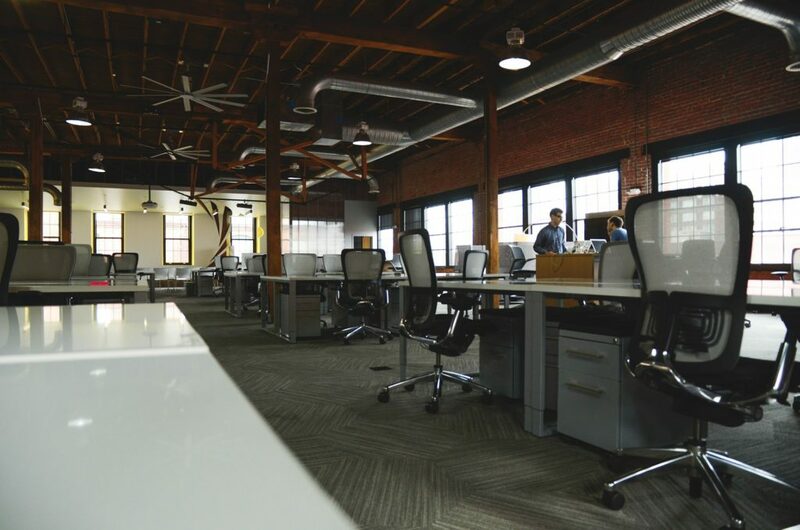 When a tech company is expanding or finding roots, having an accommodating space is vital. We’ll help you find the perfect office space that meets the size, budget and amenity needs of your growing company. Get in touch with the team here at Ellicott Development today via phone or contact us online and let us know what you need to stay on top of the tech world.